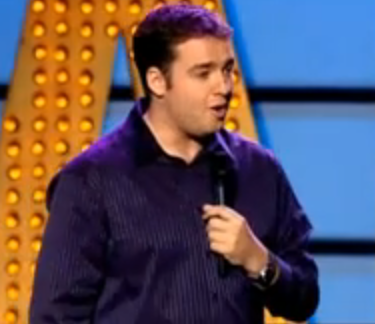 Jason Manford is probably best known for being on the comedy panel show 8 Out Of 10 Cats, hosted by Jimmy Carr, but he is mainly a stand-up comedian. He hasn’t been around for too many years but is already a very popular comedian. He talks about topical things and the general things blokes talk about (like football! ), with a great sense of humour. Jason’s first DVD Live At Manchester Apollo is very highly rated and can be picked up at bargain prices! To appreciate any comedian at their best you have to watch them. Here are 2 videos of Jason in action when he appeared on Live At The Apollo back in 2007, and on Michael McIntyres Comedy roadshow. If you want to learn more about Jason, find out tour dates, read news and more check out his website jasonmanford.com, you will also find him on Facebook and MySpace. Watch your favourite comedians live by booking comedy tickets with Aloud.com. We have just updated this article with info about his DVD released in 2009 and another clip of him in action, funnies!